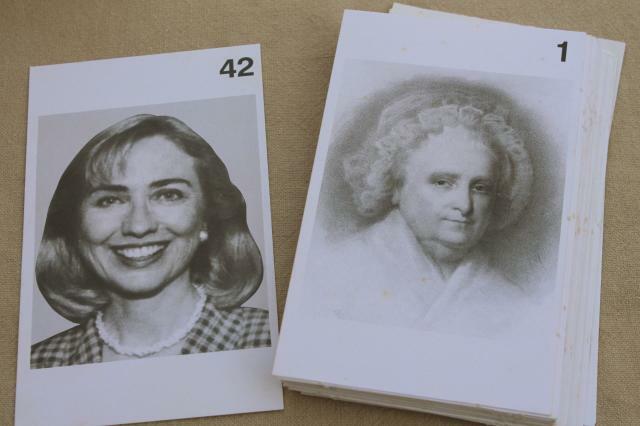 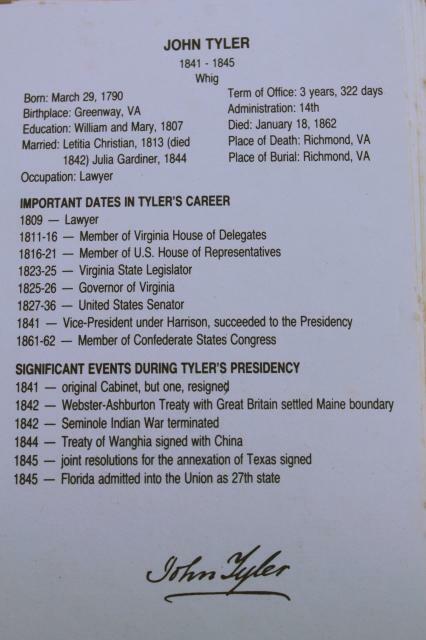 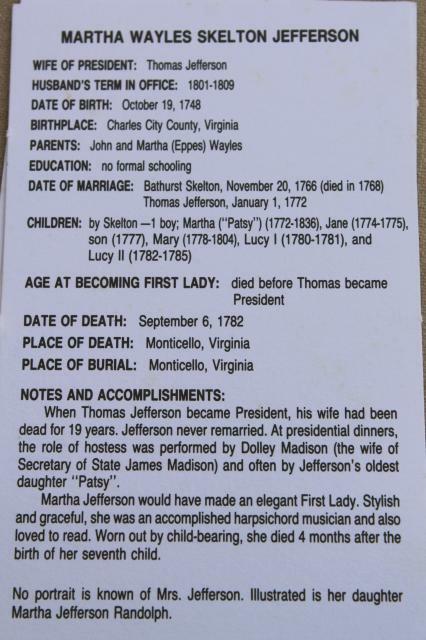 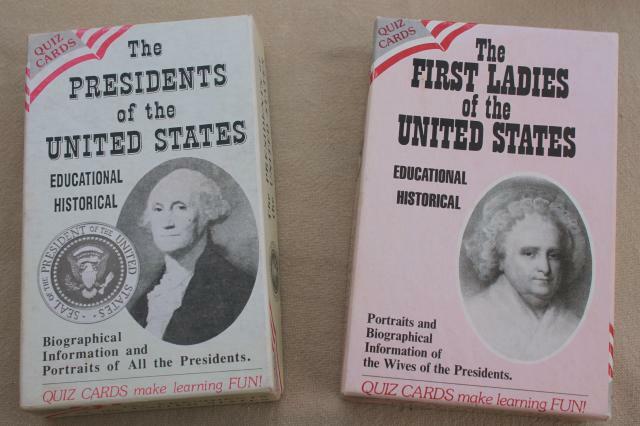 US Presidents and First Ladies flash cards with historical trivia, and portrait pictures on the front. 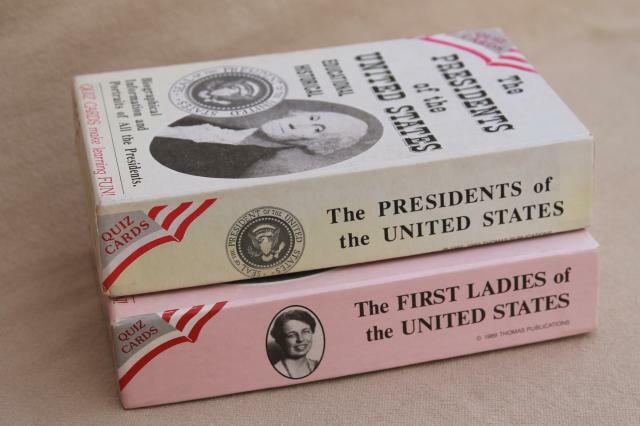 These are larger than playing cards, about 5 1/2" x 3 1/3". 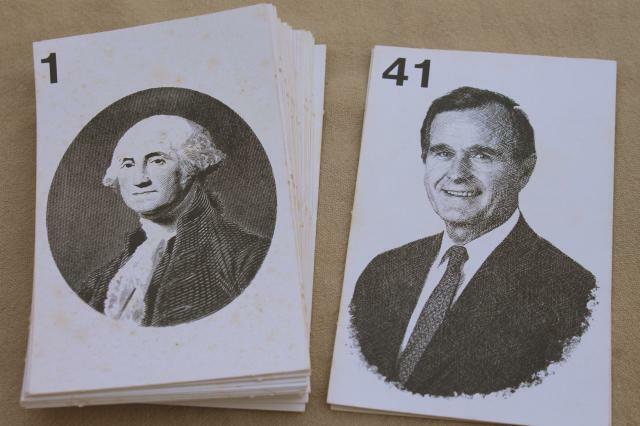 These have brown spotted foxing to the paper - not a problem in use, and an antique look for altered art media projects.